By Unveiling Q30 Hatchback recently after a long gap of 2 years of sharing the concept, Infiniti did gave an idea to how the Infiniti QX30 2017 would look like. Built on Mercedes A-Class platform the model features a gorgeous body and luxurious interior that offers high-end experience to its buyers. 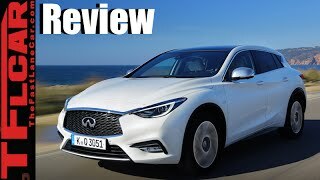 Let us have a look at the review of Infiniti QX30 2017 to know in detail about it. 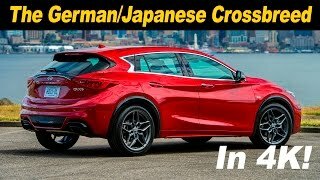 Talking about the interior of Infiniti QX30 2017 I would firstly say that company has made it really unique in comparison to its rest of the models. Though there are few minute similarities that resemble to the Mercedes model. This includes some buttons and a very little trim work. However for this unique creation you’ll first notice the massive seven-inch screen over the dash while the rest of the interior comes drenched in Nappa leather. The latter comes with an option of two color choices, comprising black or beige. Further you’ll notice the leather covered dashboard featuring stitching in same color which is however visible and gives a sportive and beefed-up look. The same essence can also be noticed over the dash, making it look more elegant. The interior of Infiniti QX30 2017 in all looks more decent and has better comfort, especially with its seats that offer more back support. Unlike the interior, exterior of Infiniti QX30 2017 pretty resembles to what we saw in recently unveiled Q30. Featuring few changes, the model has bigger mirrors and smaller wheels. The outer stance is comparatively taller, making the model look bold while the sharp creases over the body give it a sportive touch. With the detailing being almost same, apart from the above ones, the model gives compact crossover segment a new touch. 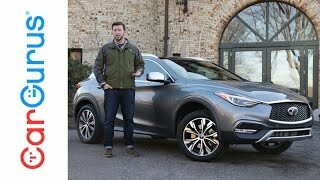 Thus rounding up the exterior details of Infiniti QX30 2017 I would just say, that tough with subtle changes which can be noticed closely, the model still has an elegant and sportive look. Let us call these preferably as the changes that can take the compact crossover segment further ahead. 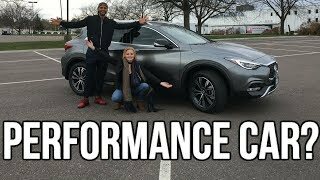 Talking about the drivetrain of Infiniti QX30 2017, company didn’t share any detail. Though we know that company has kept the safety in top of its list and further looking at its outer appearance and modified interior we can say that a good power statistics can be expected. 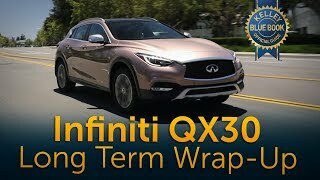 So as of now we do not have anything in the performance of Infiniti QX30 2017 segment but we assure to update them and serve as soon as company brings the figures to light.